March 2, 2019, 9:55 A.M. - 12:35 P.M. Tenor Javier Camarena and soprano Pretty Yende team up for a feast of bel canto vocal fireworks—including the show-stopping tenor aria “Ah! Mes amis … Pour mon âme,” with its nine high Cs. 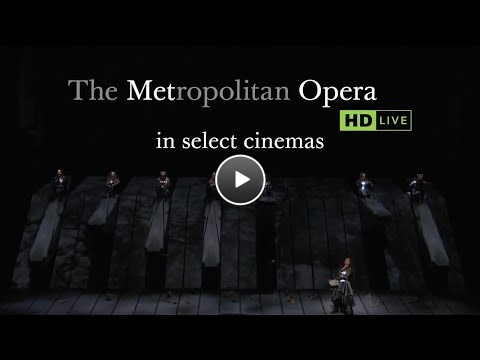 Alessandro Corbelli and Maurizio Muraro trade off as the comic Sergeant Sulpice, with mezzo-soprano Stephanie Blythe as the outlandish Marquise of Berkenfield. And in an exciting piece of casting, stage and screen icon Kathleen Turner makes her Met debut in the speaking role of the Duchess of Krakenthorp. Composed by Gaetano Donizetti. Conducted by Enrique Mazzola. Running time: 2 hours and 35 minutes. In French, with English subtitles. This screening is presented free of charge and are open to all. The theater will be OVERBOOKED to ensure capacity and the RSVP lists will be honored on a first-come, first-serve basis, with no reserved seating. Please bring a photo ID or print out of your reservation confirmation, which will be automatically sent to your e-mail account upon successfully making an RSVP through the website. Check-in will begin at approximately 9:30 A.M.